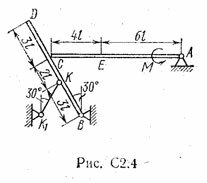 Solution of the C2 version 40 of Reshebnik on theoretical mechanics manuals SM Targ 1983. Option 86 Task 1. 1. RGR of SOC "at Bessonov . . . "